Imagine having the means to grow fresh, organic vegetables not only for your family, but your neighbours, province and beyond, all year long? Marc Schurman has had a life-long passion for growing things. 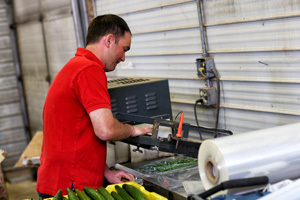 With his family operation, Atlantic Grown Organics, he’s turned that passion into his livelihood. 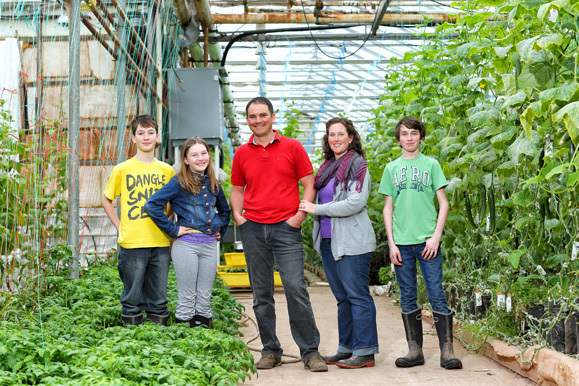 Although it’s sunshine and tropical temperatures all year long, for Marc and his family, at their Kensington, Prince Edward Island greenhouse, their success didn’t just fall from the sky. “Farming is in my blood and I’ve always loved to grow things,” says Marc. 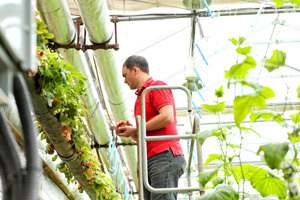 In 2001, Marc and wife, Krista, went out on a limb and transformed his family’s former hog farm by constructing a 30,000 square-foot greenhouse. 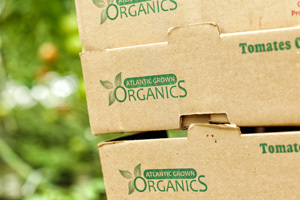 The loyal customer base for Atlantic Grown Organics has a wide span. “We see our regulars every Saturday morning at the Farmer’s Markets in Summerside and Charlottetown,” says Krista of their customers. Atlantic Grown Organics also sells to Sobeys and Loblaw’s (Superstore), where their produce is available in many locations across Atlantic Canada. 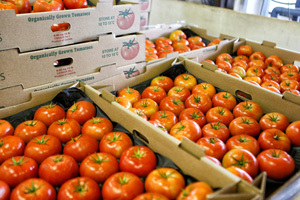 They also sell to smaller retailers in PEI and directly from the farm. Both maintaining jobs off-farm, Marc and Krista are quick to point out they wouldn’t be so successful if it wasn’t for the help they receive. “We employee three guys from Mexico,” says Marc. “They know more about this greenhouse than I do,” he adds with a laugh. Two of their employees have been with them since 2012 and the other since 2013. The family side of the business doesn’t stop with the kids. Marc’s mom and sister take a turn manning the booth at the Farmer’s Market when needed. And when the farm is really busting with activity, other family members are quick to pitch in as necessary.